We are so excited! 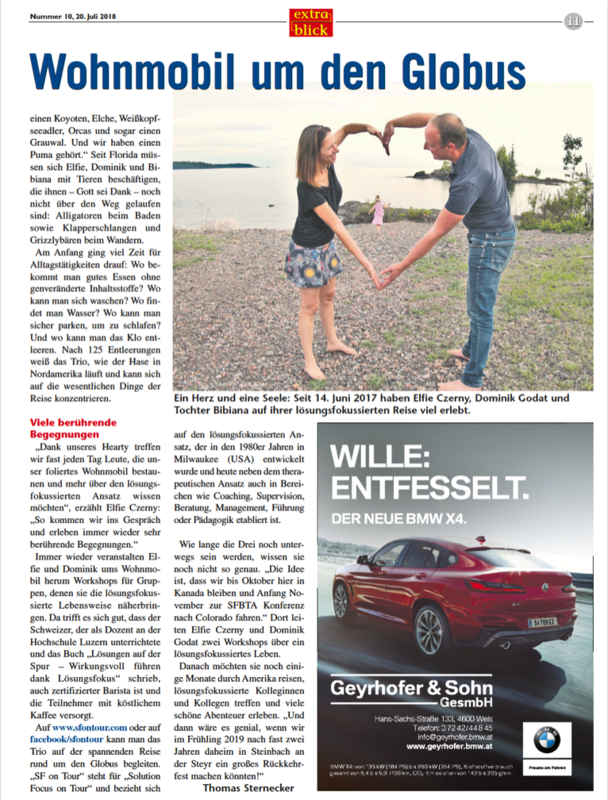 For the first time our story is featured in German language – in the well known Upper-Austrian newspaper Extra-Blick. It means a lot to us that Thomas Sternecker became interested in our story especially as I (Elfie) grew up in the region and we (Dominik, Bibiana and I) always feel home when we’re there! Thank you Thomas Sternecker for your great questions and for putting our story in such a lovely way together! I remember meeting you and taking this photo along Lake Superior. Yes, dear Carl! That was so great – to meet two photographers at such a beautiful spot. Thank you again for the memory!